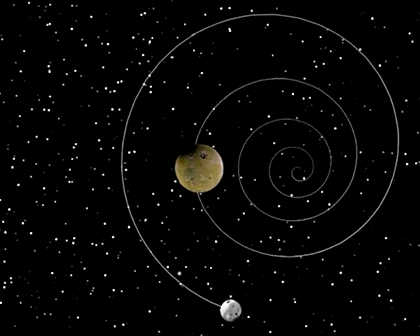 The video shows the modeled movement of the so-called “orphan planet” (or the planet which moves in the interstellar space) with its orbiting satellites. During the movement one satellite trajectory is outlined. At the end of the video look carefully at the last image. You will see the figure of the spiral and the celestial body. You can also apply the sign of direction > in the spiral to indicate the direction of movement of the celestial body from the center to the periphery. 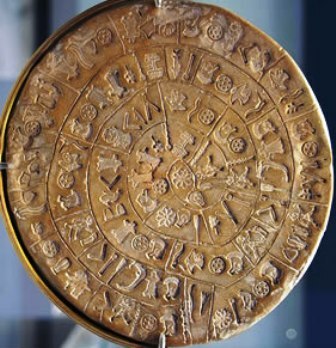 Compare the image with the image on the Phaistos disc. The coincidence is obvious. On both images we see the figure of spiral, a celestial body and the movement direction sign, thus, by drawing a celestial body and its trajectory we get the Phaistos Disc fragment. 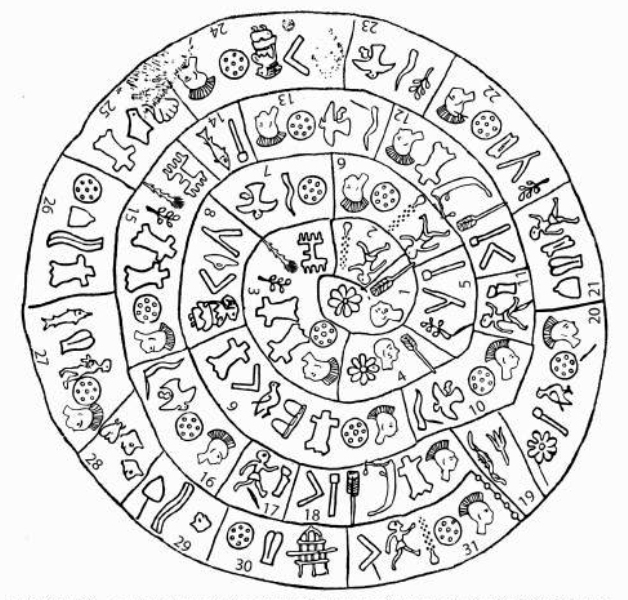 The details of this theory can be found in the books “The Heaven Express” and “Phaistos Disc – Message from Galaxy”, where the author advances the theory that the ancient manuscripts which are available worldwide illustrate the information about the visits of alien civilizations and their expeditions. The figure presents the orphan planet and its satellite trajectories as well as the Phaistos disc.